Mosquito Life Cycle: How Long Do They Live? Mosquitoes are annoying and hazardous due to their disease transmitting bites. Thankfully in the mosquito life cycle, they have a short lifespan. Mosquitoes have been on earth for around 210 million years. Roughly 3500 species of mosquitoes plague our planet with no end in sight. To understand their lifespan start with the mosquito life cycle. Stagnant water is the breeding ground for mosquitoes for laying their eggs. Whether it’s in your yard or your garden, if it remains undisturbed for a couple of weeks, the female mosquito will lay its eggs there. Mosquito eggs need water for proper development. Initially, eggs are white but will turn black within a day resembling a speck of dirt. In favorable temperatures, eggs will take 1-3 days to hatch, and produce the mosquito larvae. Mosquito eggs can survive the harshest of winters. The eggs will wait to hatch when outside conditions favor them, even after a whole year. Female mosquitoes can lay up to 500 eggs in their lifetime. Larvae are the baby mosquitoes also known as ‘wigglers’ because of their frantic twitching motion in the water. Mosquito larvae feed on microorganisms, algae, and bacteria which are available in aquatic conditions. Larvae are vulnerable during this stage and are at risk of predators like fish and birds. 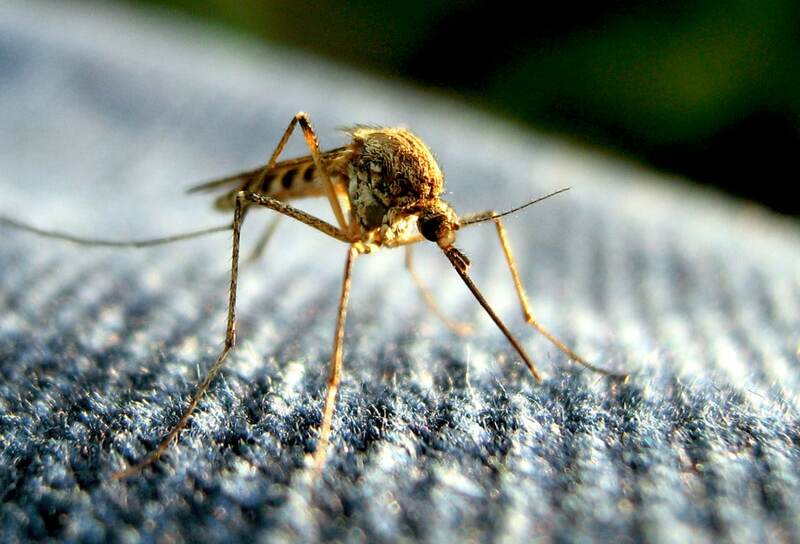 Cold-bodied mosquitoes require outside heat for their development. So, larvae will mature as quickly as the external heat favors them. Larvae develop within a week or so and continue molting (shed their skin) to develop into pupae. Larvae undergo four molting stages, and by the end of the last stage are around 1/4-inches long. The pupae stage is the relaxing stage of the mosquito life cycle. In this phase, they don’t do anything except relax and swim around in the water. Just like larvae they live on the surface and take in oxygen through their trumpets. Pupae take almost four days to develop their tissues. They then slit open their cocoon, and emerge as an adult mosquito. The only purpose of adult mosquitoes in life is to mate and feed. They mate within a couple of days after coming out of their cocoon. Female mosquitoes mate only once in their life but can lay up to 100 eggs in one batch. Usually, they produce up to three sets of eggs before dying. Mosquitoes usually feed upon plant nectar, and fruit juices for nourishment. However, females also need protein for the development of their eggs, and they drive the protein from human blood. After a blood meal, female mosquitoes fly away to a warm place and rest there until their eggs are developed. After laying eggs, they fly again to hunt for blood and to nourish another set of eggs. The life span of mosquitoes varies between species. Some survive only in summer, and the moment winter arrives they die. Others hibernate in winter and have a longer lifespan. However, eggs of all mosquito species can survive in all weather conditions. Winter has no effect on them and will hatch in the spring after winter is over. FAQ: Why Do Mosquitoes Need Blood?